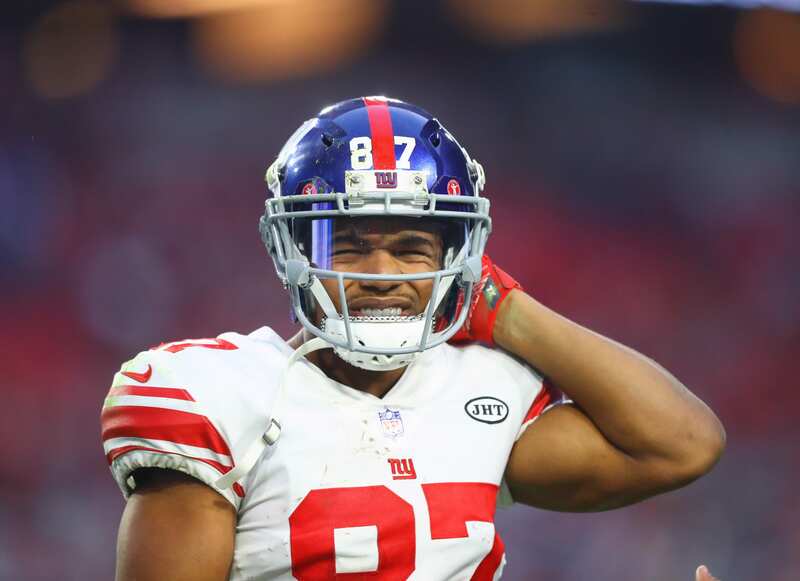 Home New York Giants New York Giants: Is Sterling Shepard The Real Deal? The Patriots Thought So. New York Giants: Is Sterling Shepard The Real Deal? The Patriots Thought So. Sterling Shepard is now the main receiver on the New York Giants, along with Golden Tate. Few thought that would be the case after Odell Beckham Jr. signed a huge contract extension less than a full year ago but here we are anyway, after the Giants moved Beckham to Cleveland and signed Shepard to a large extension this week to secure the player who will now effectively have to take over for the former number one receiver. Did the team make the right move putting this much trust in Shepard, however? The question is still up for debate. Shepard has never had to be more than the number two receiver playing in the same starting lineup with an established superstar. It remains to be seen whether paying Shepard like a star is the right move, but at least one other team agrees with the Giants in their assessment. That team is the New England Patriots, who by now are very well-known for having some of the best player scouting in the entire league. According to the New York Daily News, the Patriots previously wanted to make a trade to acquire Shepard. But while the trade was stated to be a real possibility, the fact that the Giants moved on from Beckham practically shot down the hopes of it happening. The team has enough question marks at the receiver position without moving Shepard, and a trade with the Patriots would have only served to increase the amount of time a rebuild will take. Shepard is going to be a Giant for years to come, and based partly on the fact that the Patriots, a dynasty that isn’t known to trade often for big name receivers, also had interest in the player, they just might have made the right call on signing the extension.